What an irony ! Who knows, may be at the end of this century, we will have more than a thousand different “Ethnically divided states in Africa” as members of the UN, while the other big nation-states and continents are working hard for their unities. ለ አእምሮ -መጽሔት- ልዩ ዕትም፥ አፍሪቃም ሃምሳ ሆነን! ዓለም – የለም ! አፍሪካ እንዴት ሰነበተች? 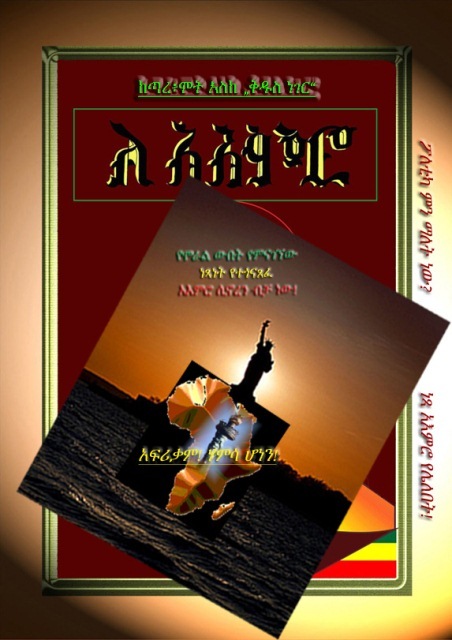 Posted on May 31, 2013 in ነፃ አስተያየት/Free Opinions, አዳዲስ ሰነዶች/የጥናት ወረቀቶች/Documents, ኧረ እንዴት ነበረ?